Before the 30 July 2017 parade, the J-16 was never shown to the public. 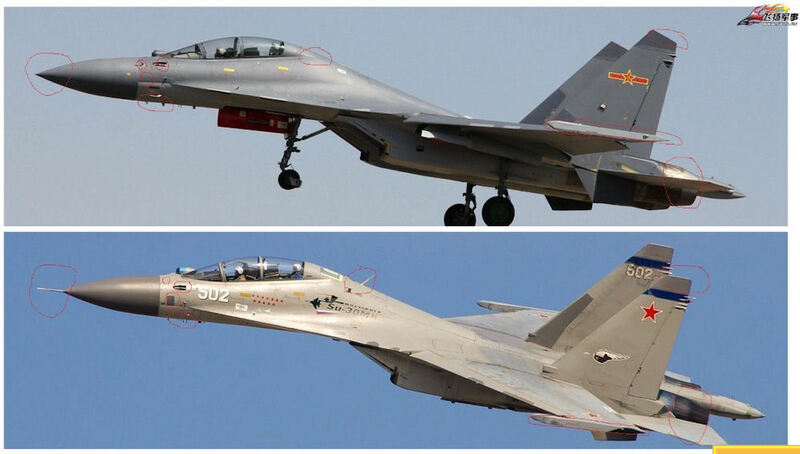 Developed by the Shenyang Aircraft Corporation, it is based on the J-11B, a modification of Russia’s Sukhoi-30MKK. Almost half of the equipment seen at the parade to mark the PLA’s 90th birthday was being displayed for the first time, and all of it was indigenously made, according to the Ministry of Defence. The fighter is designed for a naval role, and will carry “stand-off” missiles that can attack ships from beyond visual range. COntracry to initial reports, it has a conventional layout, and does nto incorporate notable stealth features. The J-16, built by the Shenyang Aircraft Corporation (SAC), is reportedly a stealthy dedicated attack version of the J-11B (Su-27) multirole fighter featuring active electronically scanned array [AESA] radar and an internal weapons bay. Chinese authorities had not formally released informtion on these developments. 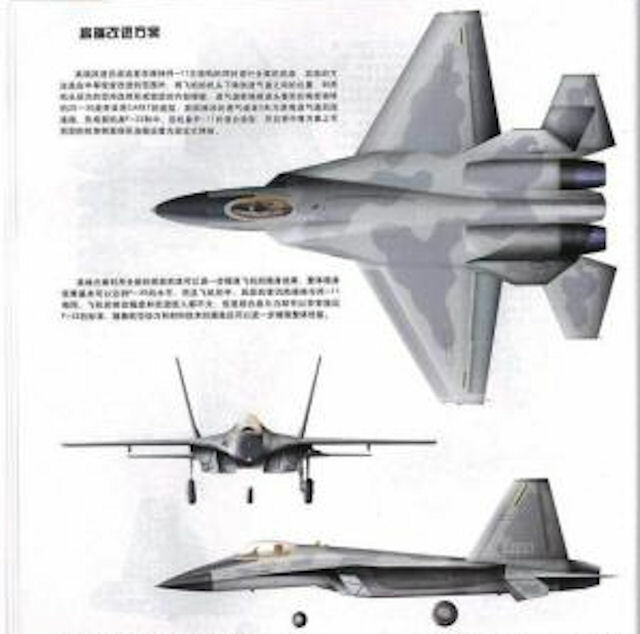 It was rumored in November 2010 that SAC was developing a 4.5th generation heavy multi-role fighter with a conventional layout based on J-11B. First flight of this reportedly "Silent Flanker" was rumored at that time to be within 2011. 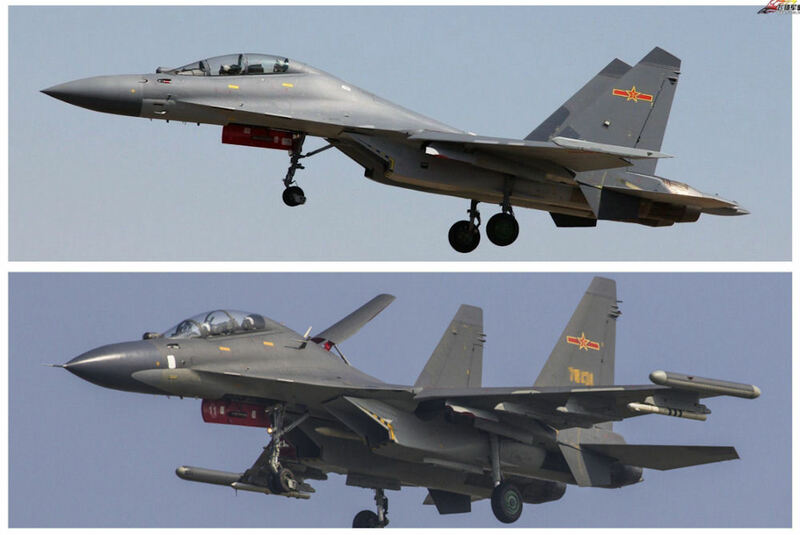 According to Hui Tong, the J-16 is a version of the J-11BS comparable to American F-15E. Sort of a 'strike flanker'. "The aircraft can be viewed as an upgraded version of Su-30MKK based on its mission and capability, which is comparable to American F-15E. First flight was rumored to be between 2011-2012. J-16 has tandem seats with a WSO sitting in the backseat. It features an enhanced fire-control system with additional AG modes. Besides PL-8 and PL-12 AAMs, it could also carry the same precision guided weapons being carried by JH-7A, such as KD-88 ASM and LS-500J LGB. 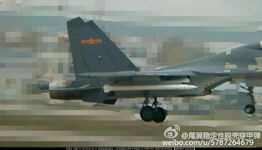 Compared to JH-7A, J-16 is expected to have a more powerful radar, a greater weapon load (8t) and a longer range (4,000km). " In May 2011 China Military Report stated that "China's new 4.5 generation heavy fighter (Chinese name "Red Eagle"). 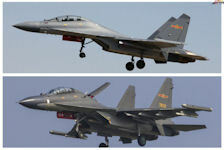 August 2008 had been officially off the assembly line in Shenyang Aircraft Factory, in October 2008 in Beijing, an Air Force base in the outskirts of the first flight, October 12, 2009 conducted a second test, a complete success. 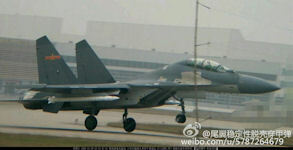 J-18 is the 4.5 generation fighter aircraft are air superiority fighter heavy. Forward-swept wing fighter design using ultra-stealth characteristics, and install a laser active phased array radar, built-in weapons bay and two large thrust-vectoring engines. Service time is expected around 2015. So far there is no any official information about the machine, nor any information to prove the real existence of the aircraft. Only some information from some people speculate, and speculation of official news." 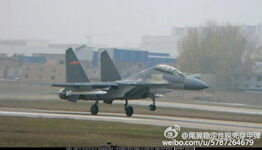 In fact, the J-16 fighter's first flight had been pushed and pushed again. The main reason is that the weight of the design is overweight, but the greater headache was the funding constraints. Another analysis from 2011 characterized the J-16 as a "medium-sized fourth-generation supersonic vertical short takeoff and landing fighter" developed by the 611 Research and Development Institute. "Allegedly, this project is an important step in China's independent innovation design, development and manufacture of advanced fighters, technically surpassing the Russian Su-47, and even eventually catching up with the United States." 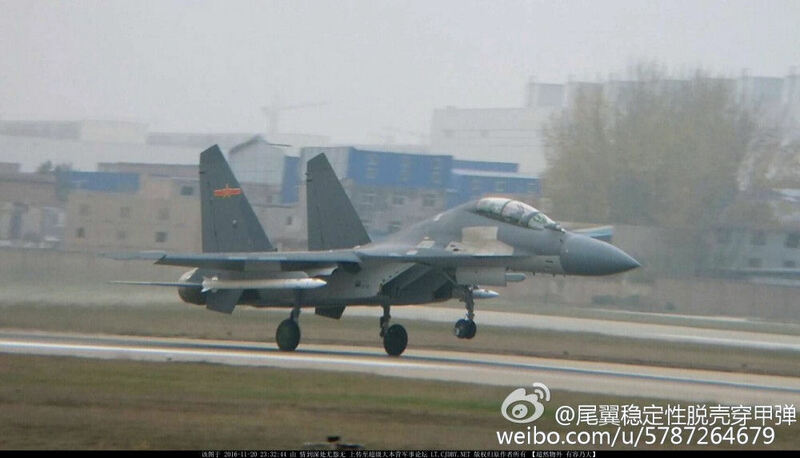 Photos, showing the Shenyang J-16 fighter jet of the People’s Liberation Army Air Force (PLAAF), carrying a huge missile under its wing, at an unknown location were published online on 22 November 2016. According to initial analysis, the length of the missile is almost six meters. According to the Combat Aircraft military magazine, the missile in the photos, apparently, is a new Chinese air-launched missile. The magazine has three main versions about the missile. The magazine presumed that the photos could show an “anti-satellite weapon, equivalent to the ASAT that was tested from the US Air Force F-15A Eagle in the early 1980s.” As the author of the article noted, anti-satellite weapons have been actively being tested by China for some years now, however, “these have not as yet been intended for launch by fighters.” Another assumption is that the “new missile is not an AAM at all, but an anti-radar missile” – a fully indigenous follow-on to the YJ-91, a Chinese version of the Soviet Kh-31. Or, it could be “an ultra-long-range weapon intended to defeat high-value assets such as E-3 AWACS surveillance aircraft or RC-135 intelligence-gatherers.” However, Combat Aircraft also noted that if it is such a kind of missile, “it is somewhat surprising” to see that the J-16, which had “a primary air-to-ground role,” carrying it. A very long range air to air missile (VLRAAM) with ranges exceeding 300 km (roughly 185 miles), likely maxing out between 250 and 300 miles. In comparison, the smaller 13.8-foot, 15-inch-diameter Russian R-37 missile has a 249-mile range. Such a missile could outrange any American (or other NATO) air-to-air missile. Additionally, the VLRAAM’s powerful rocket engine might push it to Mach 6 speeds, which would increase the no escape zone (NEZ), that is the area where a target cannot outrun the missile, against even supersonic fighters.